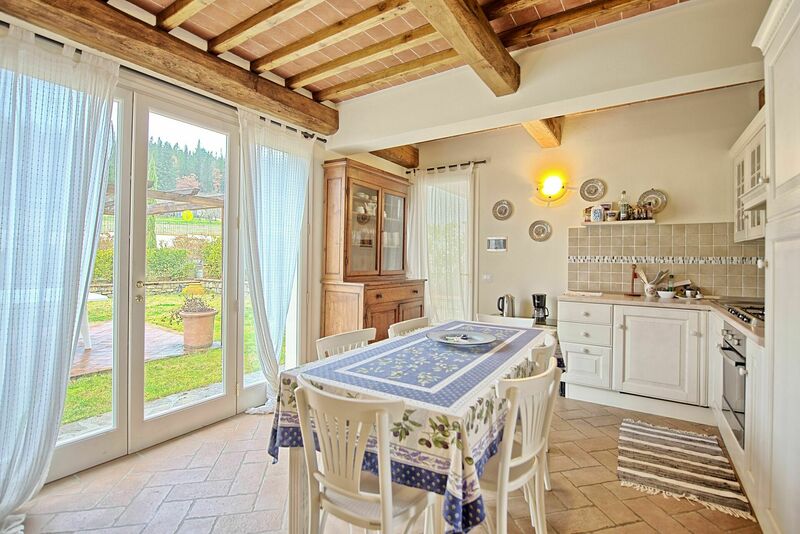 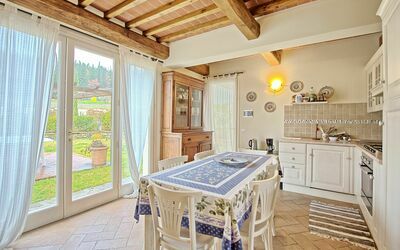 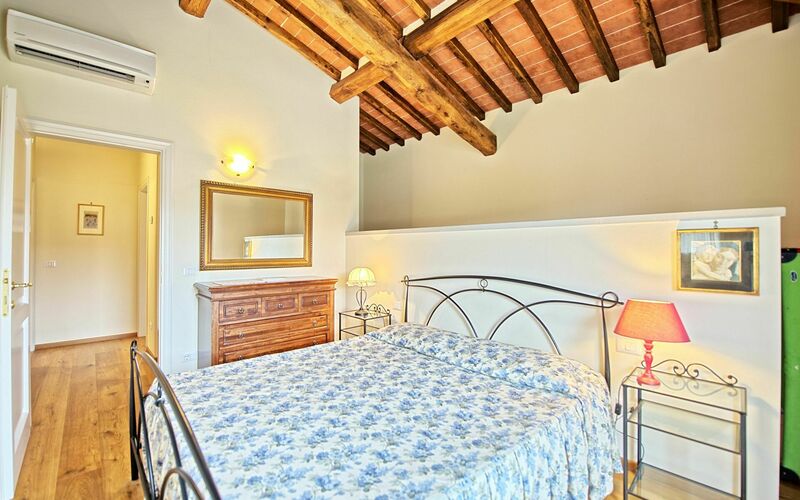 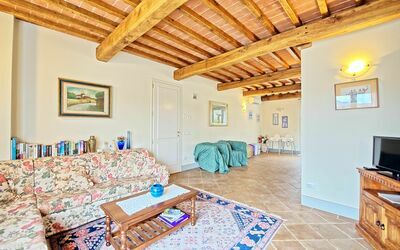 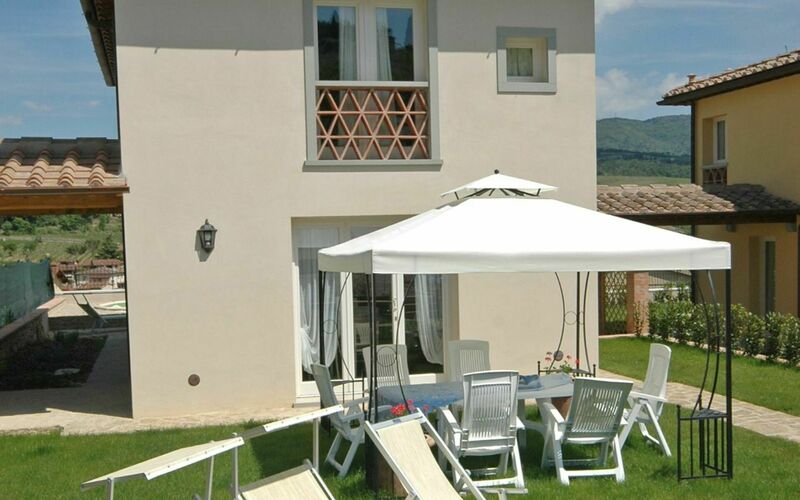 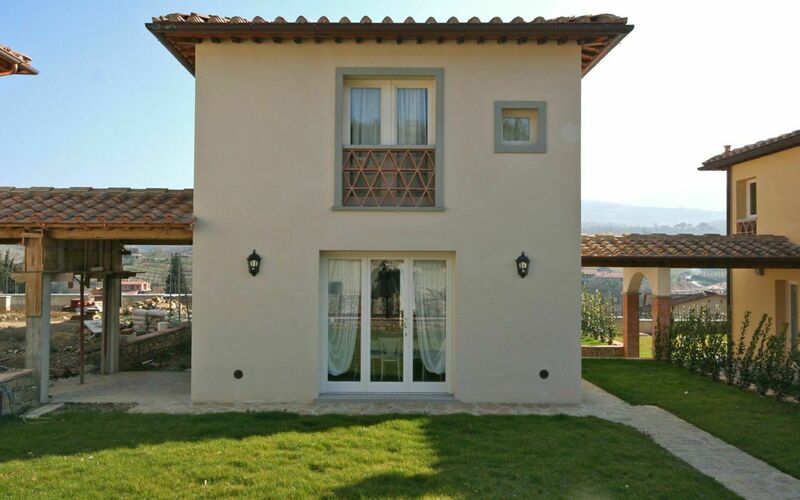 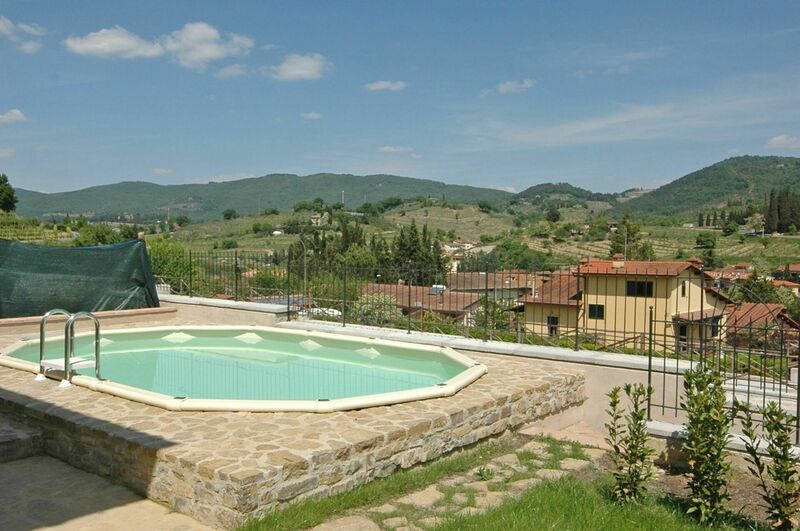 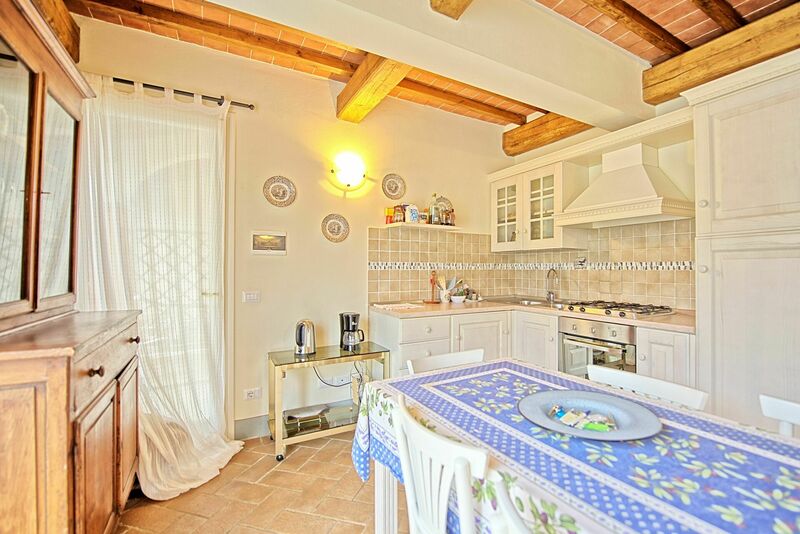 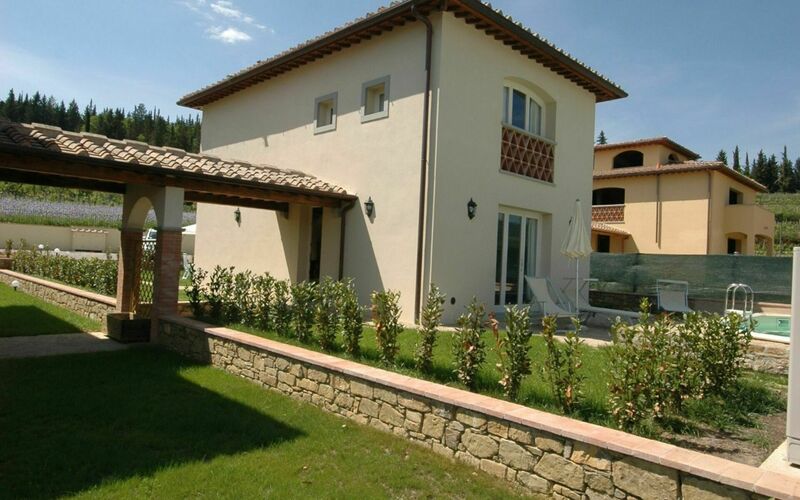 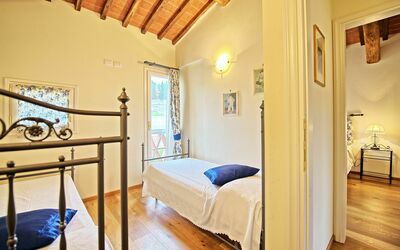 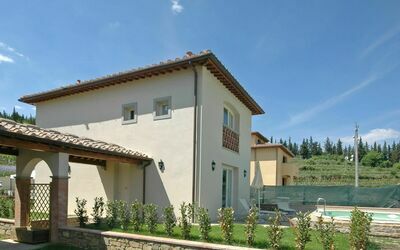 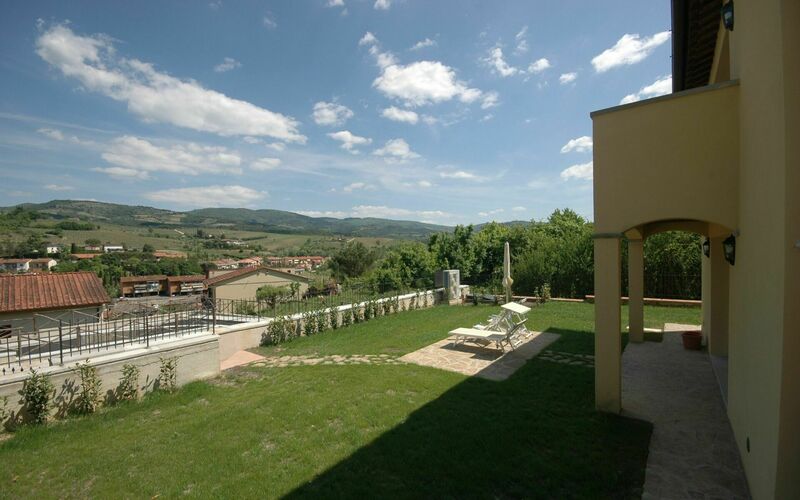 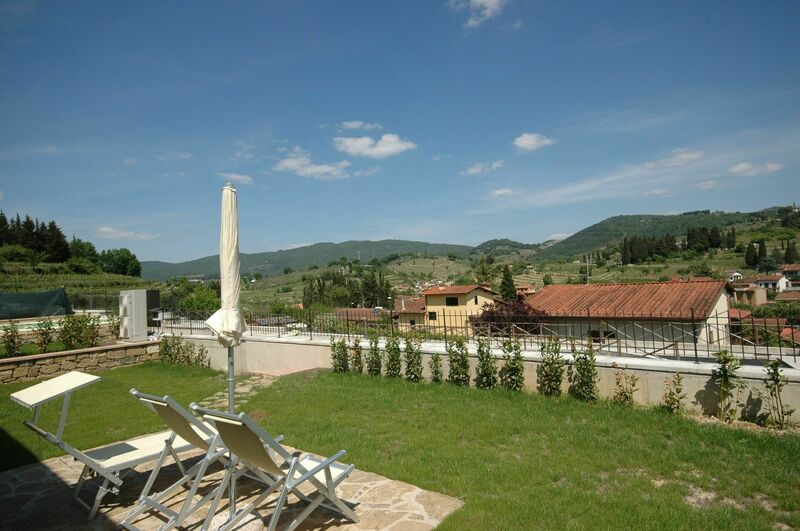 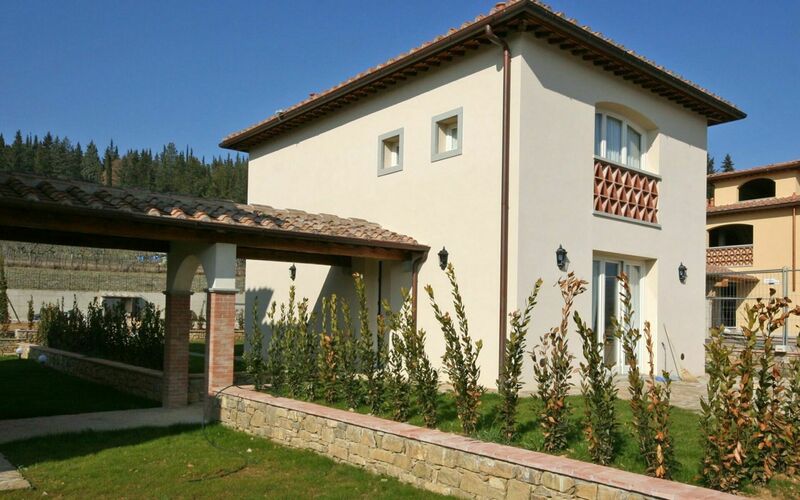 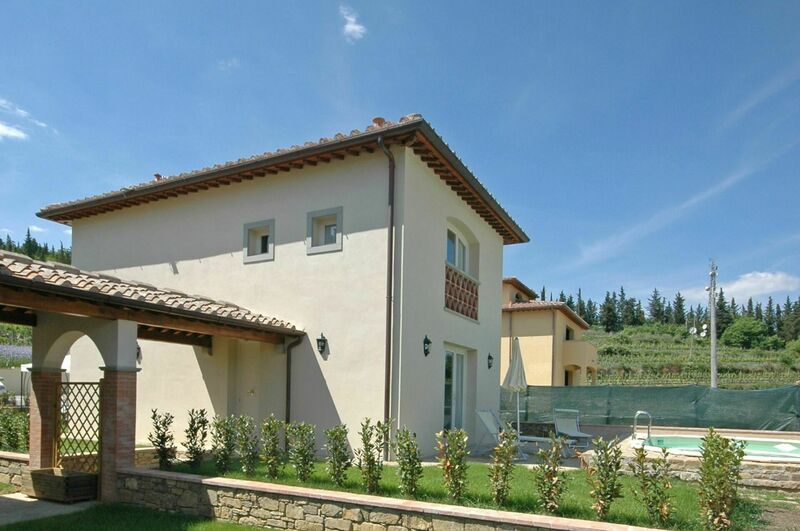 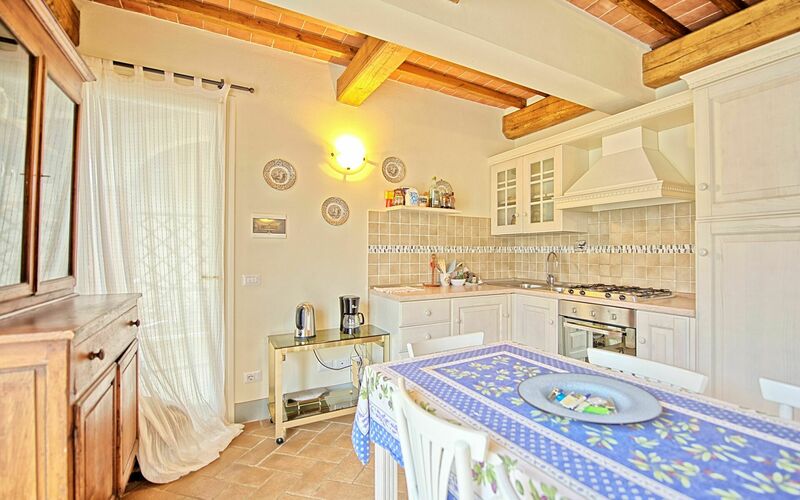 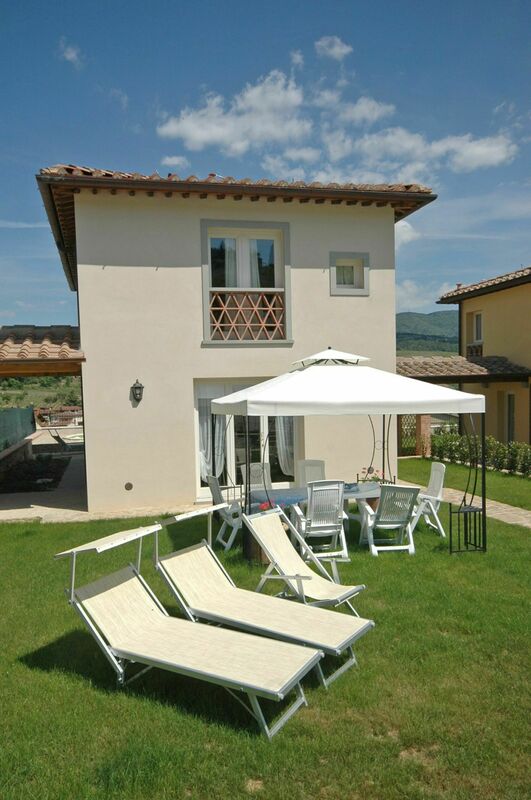 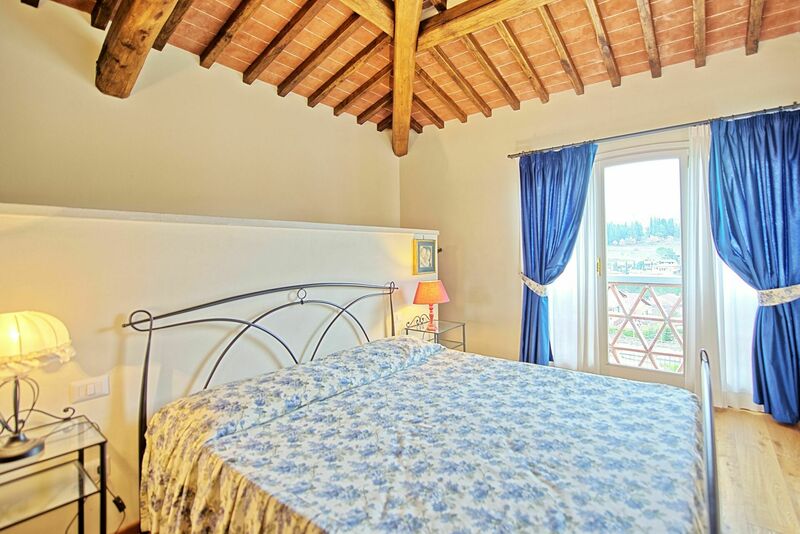 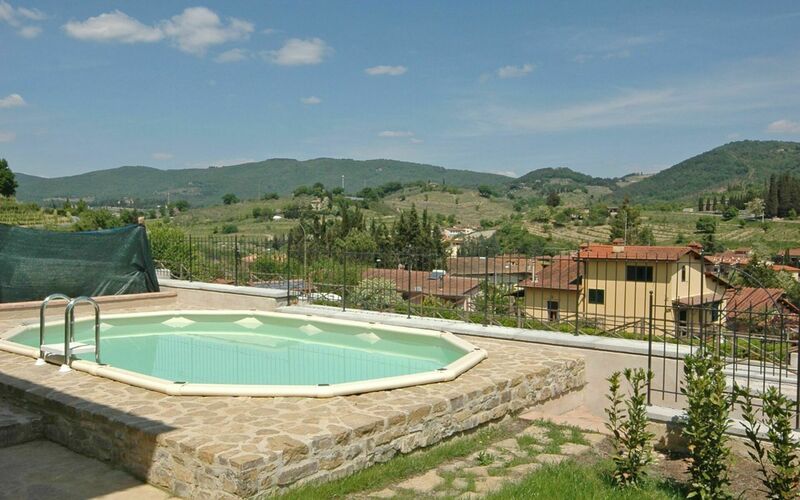 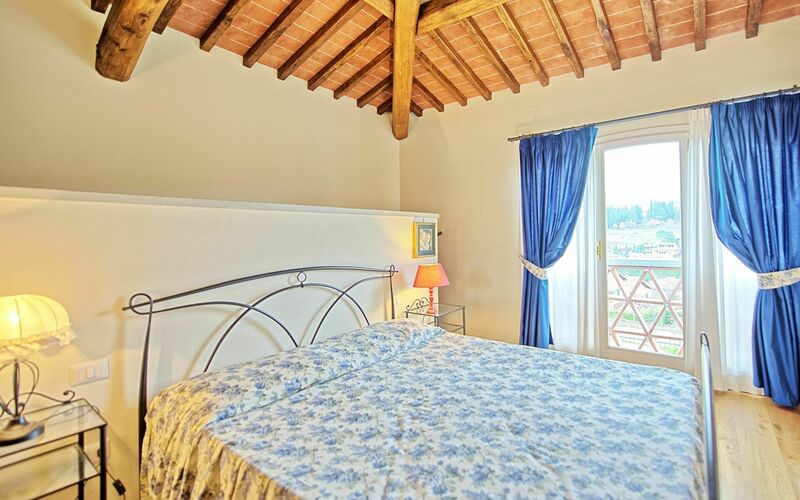 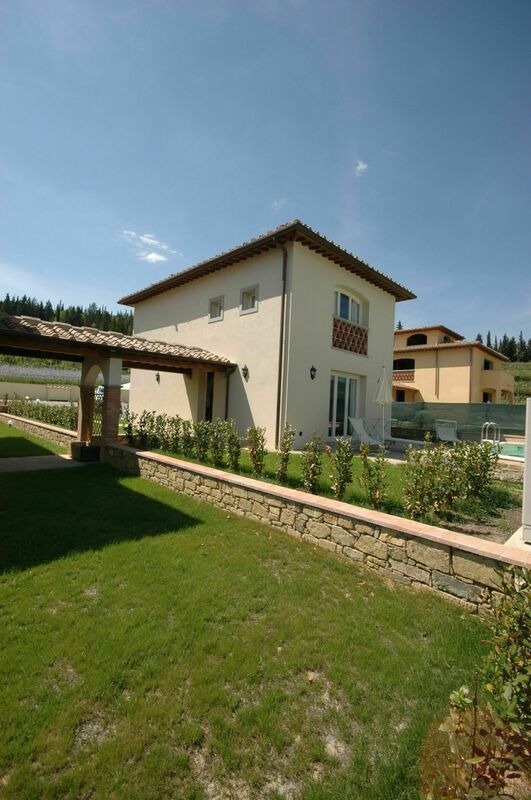 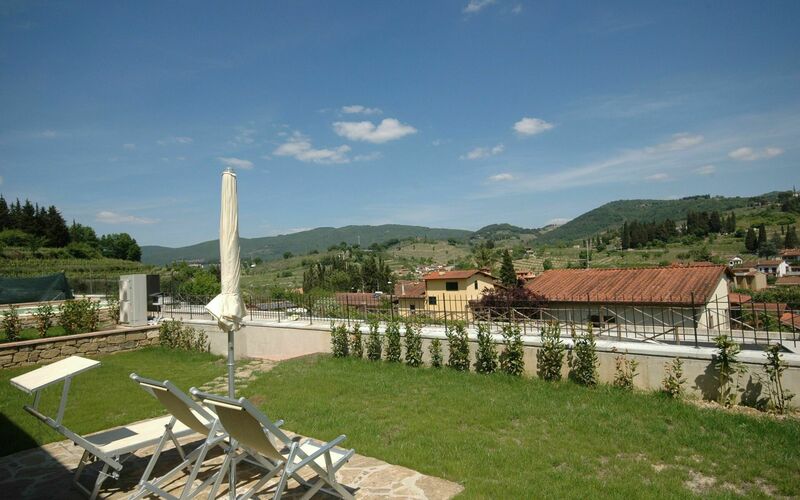 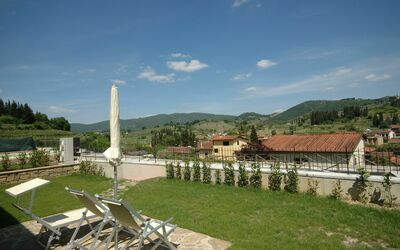 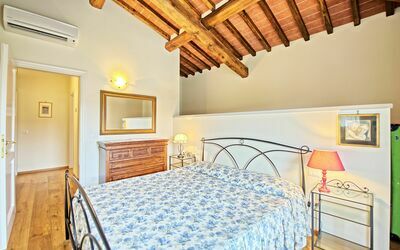 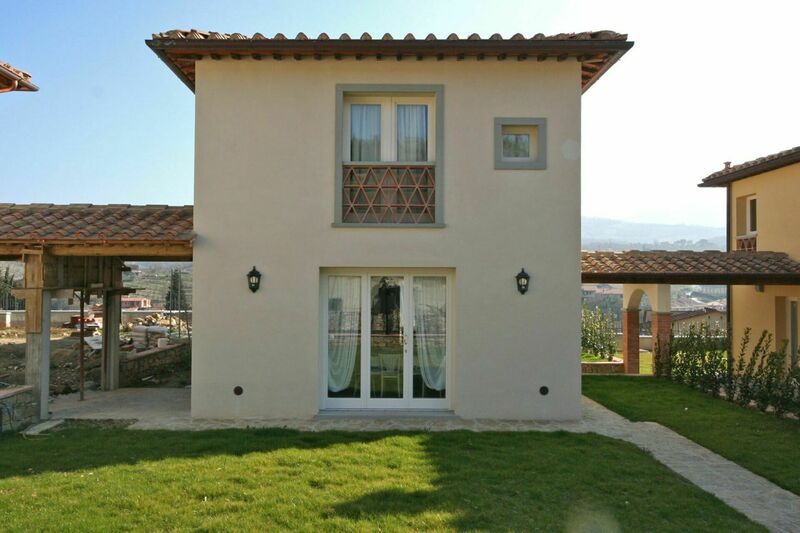 Nice independent villa with private pool situated a short distance away from the charming town of Greve in Chianti (the town main square is in walking distance – 10 minutes away). 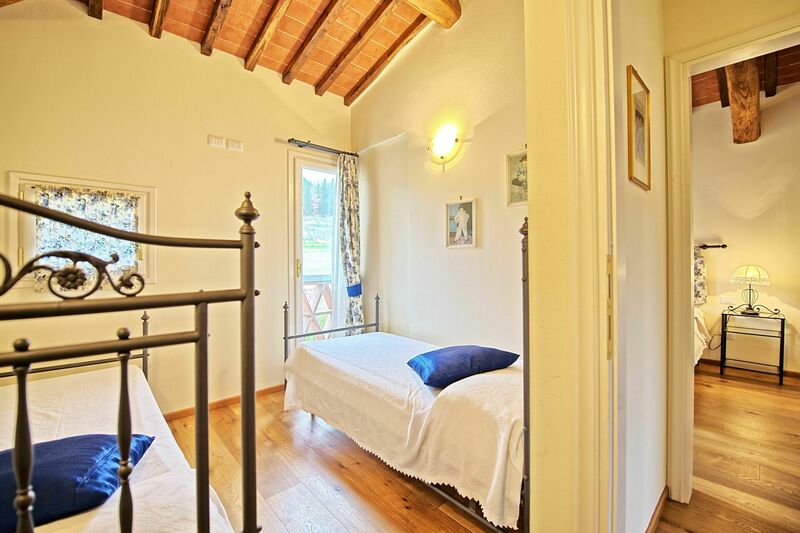 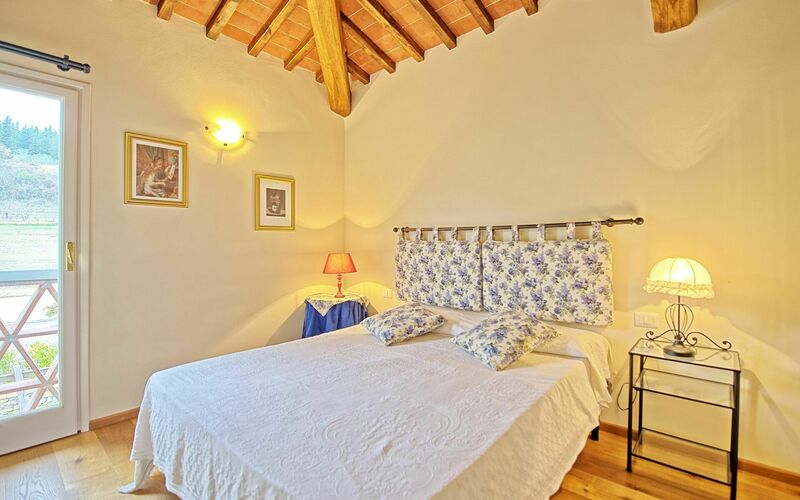 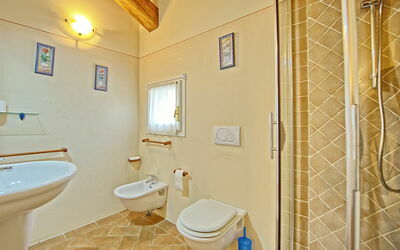 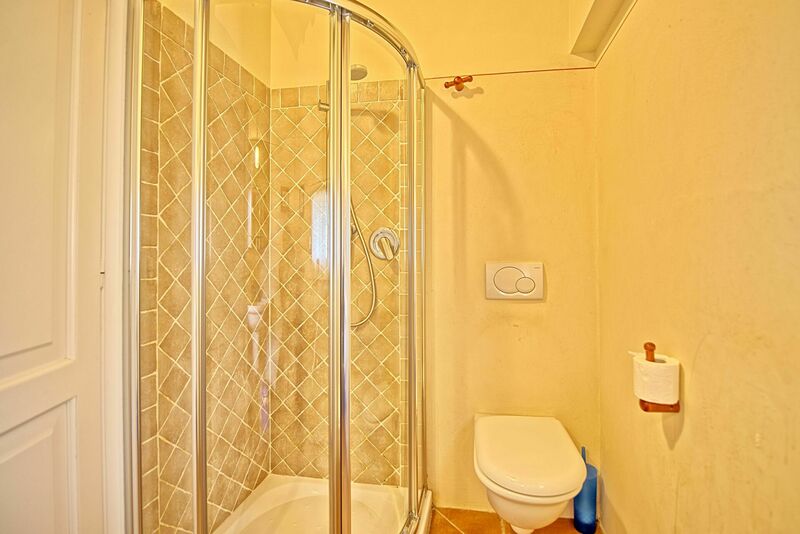 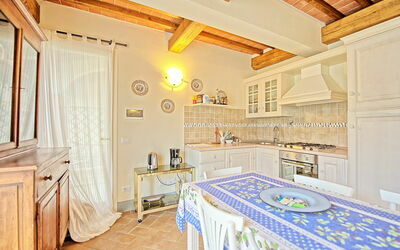 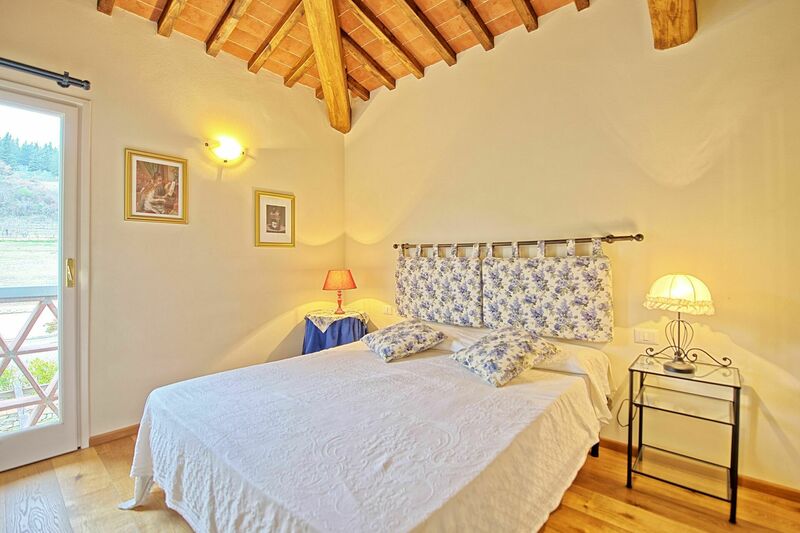 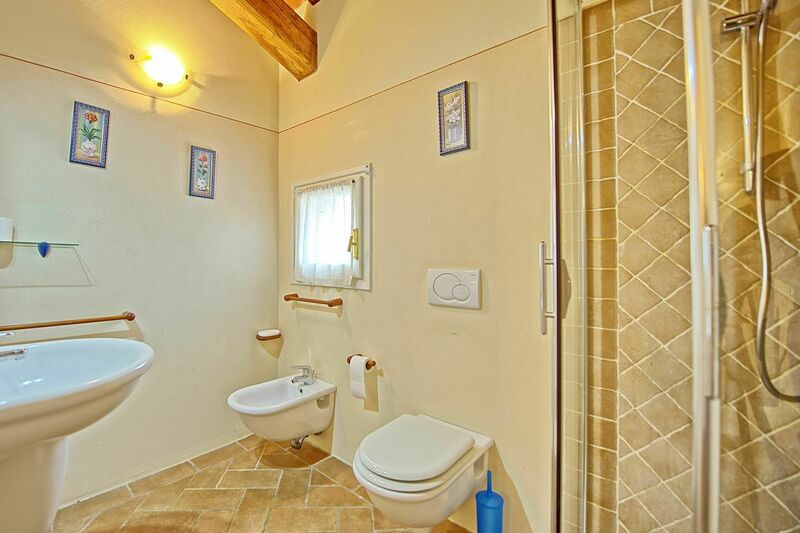 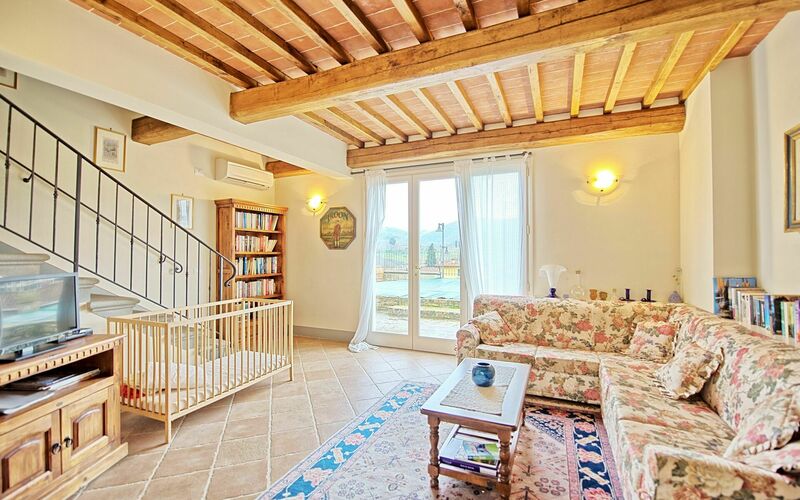 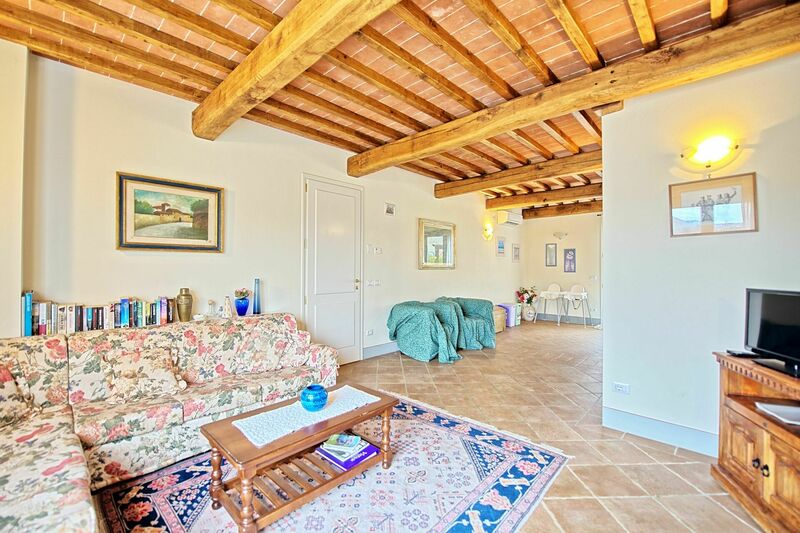 This property, surrounded by beautiful olive groves and vineyards, is spacious and cozy. Extra Services: baby bed and high-chair (free of charge). 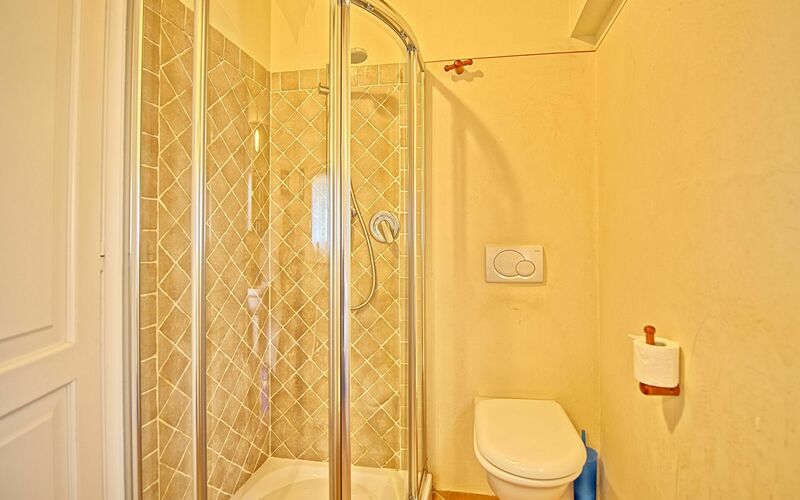 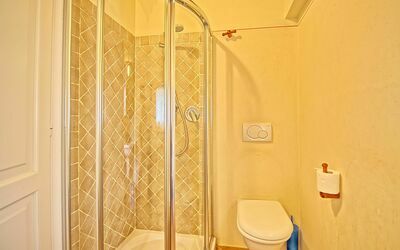 Casa Monica can be rented together with Casa Torretta and Casa Fabrizio (only a few meters away) to accommodate a total of 22 people. 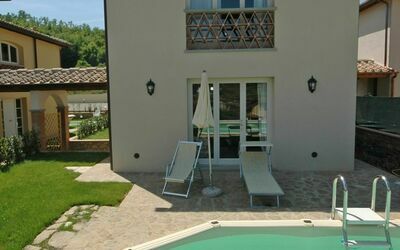 Casa Fabrizio and Casa Torretta are both independent villas and provide a private pool each (same ownership).